Is it the regular rumble and blare of freight trains, the neon stare of the Murray Hotel, the 1950s feel of the downtown? Or is it the sprouting of trendy restaurants, the new hospital, and a revitalized mission for (even) more parks and trails? The grudging creep of modernity may be making its way through Livingston, Montana, though there seems to be little sacrifice when it comes to the city’s vital character and stubborn authenticity. Livingston has long had the feel of lost opportunity with its three-decade economic sag due to the finger-snap loss of 300 jobs at Burlington Northern’s railway shops in 1986. It was a long 30 years, with very slow growth in population and a dismal outlook on progress and the future, as Livingston’s prospects were pinched tight between the big boom towns of Billings and Bozeman. But, as Dylan said, “the times they are a changing.” Livingston is on the move like never before. What a location! That’s what the producers of A River Runs Through It, The Horse Whisperer, Broken Ghost and other notable movies must have thought when they first happened upon the city. Straddling the Yellowstone River, cupped among the Crazy, Bridger, and Absaroka mountain ranges and tagging the magnificent Paradise Valley to the south, there are few places in Montana which match its simple beauty. Yellowstone Park is less than an hour drive, and for convenience to “get outta town” the Bozeman-Yellowstone International airport is a comfortable drive over the pass separating the two cities. The attractions seem obvious when you take time to look, as celebs living in near proximity to the city have discovered. Michael Keaton, Jeff Bridges, John Mayer, and Tom Brokaw can often be seen around town. Writers like Jim Harrison, William (Gatz) Hjortsberg, and Tim Cahill have all called Livingston “home.” Jimmy Buffet has sung praises to Livingston in several songs; and well-traveled, world famous chef, author and television personality, Anthony Bourdain of “Parts Unknown” recently outed Livingston as “possibly the most awesome place on earth.” Most residents would agree that that’s not an exaggeration. All this praise and recognition does not come without some pushback from residents, often fearful that their town will change too quickly, and maybe not for the better. But with a population of just around 7,500 those fears may be a bit unfounded, as there is plenty of room to grow and (now) to prosper. The signs seem obvious when you look. Downtown shops, a dozen or more galleries, restaurants, and buildings are being re-imagined, real estate companies are establishing new offices, and a major housing development, NorthTown, is in the works (full disclosure: the publisher and author has an ownership interest in NorthTown). Livingston is lovely and lively. It is often hard to believe that such a small town has so much going on. Perhaps its brightest and most noticeable spot is Sacajawea Park, a beautiful, family-friendly setting on the Yellowstone River where you can play, picnic, or park yourself alongside the shores of America’s iconic waterway to simply take in the sight of soaring eagles or the sounds of laughing children. And you will definitely not want to miss the park’s farmers’ markets and the annual Summerfest where neighbors meet neighbors and tourists meet Montana. Summerfest, Festival of the Arts, the Livingston Roundup Rodeo, the Hoot music-and-street party, a Christmas Stroll... when do these folks settle down? Not often it seems. When not partying, it’s time to head outside of town — in any direction — and enjoy Montana’s public lands by embracing the city’s fabulous outdoor ethic — hiking, biking, fishing, boating, golfing — or simply wandering the prairies and mountain-scapes. Opportunities boggle one’s mind… and time. Adventure? Inspiration? Spirit? Hike to Pine Lake or explore the Crazy Mountains on foot. Float or fish the historic Yellowstone River. Paddle-board or raft Yankee Jim Canyon. Bike hundreds of miles of roads and trails. Tee off on nine holes of panoramic beauty. Rein in your horse while overlooking Paradise Valley. Worn out? Just enjoy some nice drives, some grub, and libations at a great many choice establishments. Context is everything when it comes to small-town living, and Livingston’s special context is historical. Lewis and Clark stopped in what is present-day Livingston on July 15th, 1806 to rest their horses and prepare a meal. The horses were tired and lame to one degree or another, so Capt. Clark “had Mockersons made of green Buffalow Skin... put on their feet which Seams to relieve them very much. (sic).” The downtown Livingston Depot Center tracks you to the early 20th century, when the railroad made the town the jumping-off point for Yellowstone National Park, welcoming as many as 30,000 visitors a season on six trains a day. The railroad displays serve as a reminder of this special history, as do the more than 400 structures around town that have been placed on the National Register of Historic Places. The Yellowstone Gateway Museum chronicles the area’s history, which includes tales of the city’s Chinatown, a red-light district, the railroad shops, and the creation of Yellowstone National Park. Much of it is preserved in memory and in place. Did I mention that Livingston has only 7,500 residents? This may be a small city, but it has the heart, authenticity, and ambition of a very large neighborhood, and visitors often seem a bit startled by this city’s vibe and ambiance. Whether you lucky enough to live in Livingston or are just visiting, you will find that “Loving Livingston” is not just a title. It’s a way of life. 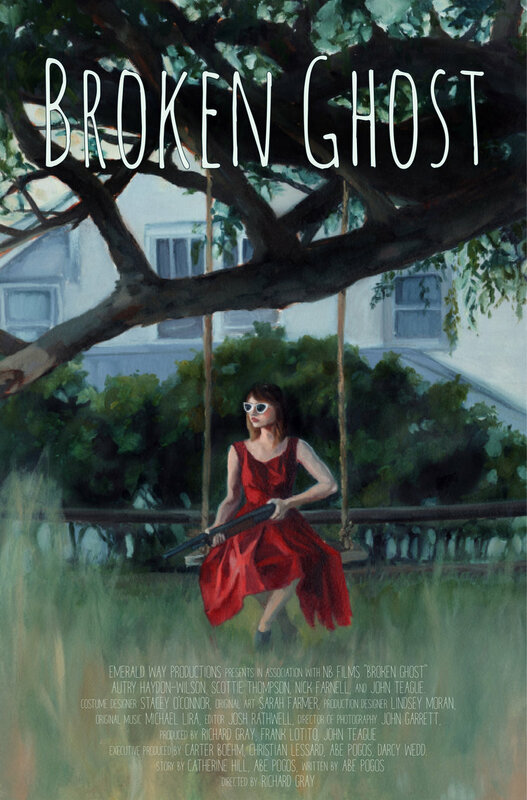 Broken Ghost is a coming-of-age story about a family just moved to the Livingston area from a big city. Great drama and a bit of a thriller as well. 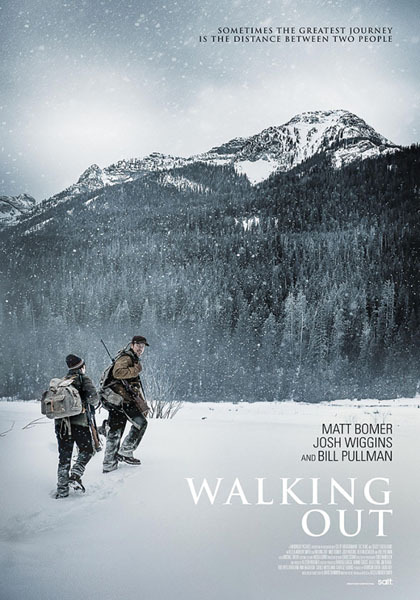 Walking Out is a film by the Smith brothers (Alex and Andrew). Based on a story by Montana resident David Quammen, it follows the turmoil of an urban teenager who visits his estranged father to hunt big game. "They shot the film in the Paradise Valley and some scenes in the Hyalite Canyon Recreation Area near Bozeman, wrapping up in February." VIDEO DESCRIPTION: An urban teenager journeys to Montana to hunt big game with his estranged father. Father and son struggle to connect, until a brutal encounter in the heart of the wilderness changes everything.